GOSPELL’s GM-2730 series is a multifunctional Network Adapter which performs the adaptation of interfaces between ASI and Gigabit Ethernet, and then multiplex and scramble the MPEG transport streams before sending to local headend system or Ethernet transport network. The GM-2730 series adopts GOSPELL’s flexible licensing mechanism for scrambling functions, with one 100Base-T Ethernet interface available for connection to the conditional access system(CAS) as well as to the network management system(NMS). This flexibility and versatility enables operators to reduce total cost of ownership. It can be widely applied to central head-end and remote headend system in CATV, DTT and SATV networks. GQ‐8398Q is a new generation, highly integrated SD encoder and QAM transmodulator, combining MPEG‐2 and MPEG‐4 AVC SD encoding, QAM RF reception, transport stream processing and QAM modulation in a 1RU chassis. 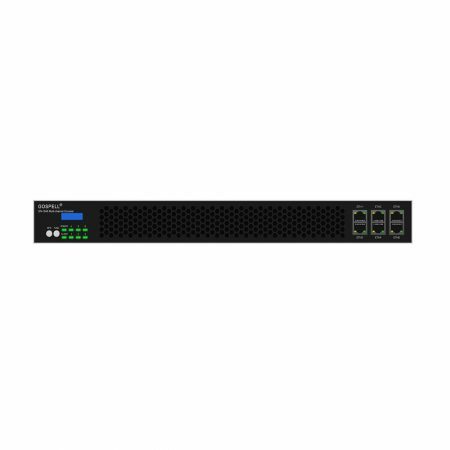 It’s ideal for broadcasters, cable network operators and media providers looking to reduce equipment costs and lower total power consumption for digital television distribution.